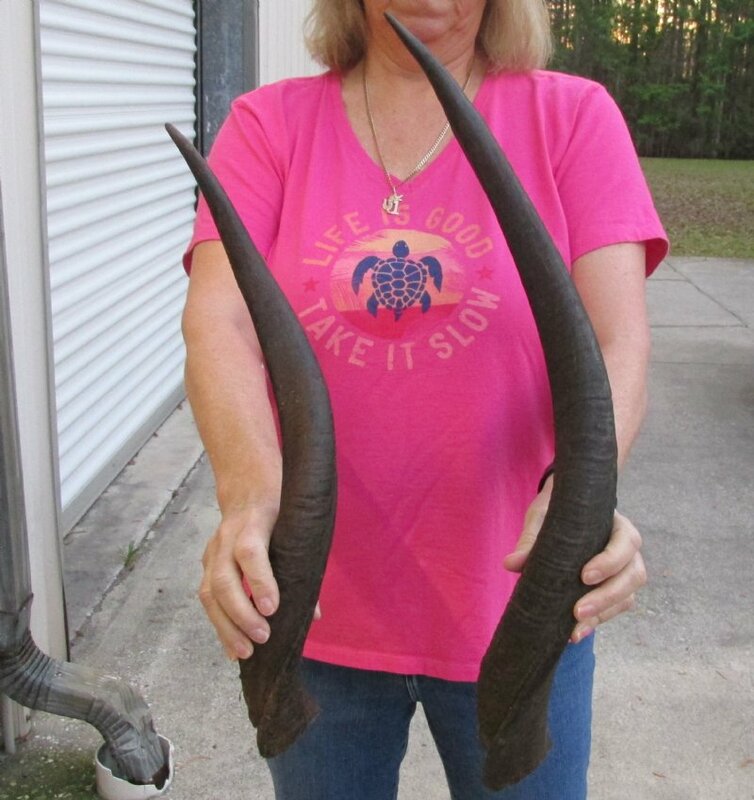 2 piece lot of Nyala horns for sale measuring 20 and 26. 2 piece lot of Nyala horns for sale imported from South Africa, measuring approximately 20 and 26 inches measured around the curl of the horn - not straight. 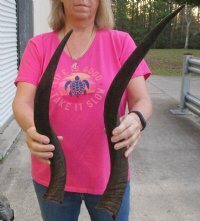 Nyala horns are used in making shofars, blowing horns, nyala horn instruments, furniture legs, lamps, sconces, knife handles, cane handles, inlaid crafts and numerous other taxidermy crafts. Our African nyala horns are by-products of the farming industry and the African Government culling programs. The nyala horns have been professionally cleaned in Africa and cleared for entry into the United States by the U.S. Fish and Wildlife Service and U.S. Customs. We are direct importers of African wildlife products and have all Federal and State licenses. These are real nyala horns and all horns will have some imperfections resulting from the natural aging process and living in the wild! 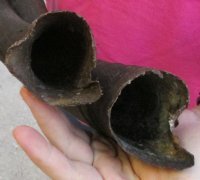 You are buying the nyala horn shown in the photo .